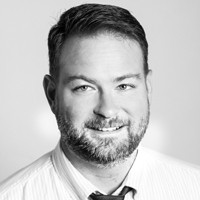 Cory Brown is Vice President of Data and Strategy for Cygnal, a data-driven, results-oriented communication and campaign firm that uses analysis, not assumptions, to make decisions. Cygnal provides polling, data management, targeting and integrated communications for candidates, groups and businesses. He served his country in the US Army both stateside and overseas in reconnaissance and combat engineer units. Making a difference in government and politics is important to Cory, and he transitioned from full-time military service to earn his master’s at the GW’s Graduate School of Political Management. Before joining Cygnal, he worked and managed campaigns at the local and state level. Cory lives in Northern Virginia with his wife and two beautiful daughters. He spends his free time in the outdoors, watching sports, and cheering on his beloved Auburn Tigers.